Podcasts are an amazing resource for learning English wherever you go. All you need is an MP3 player. If you don’t have an MP3 player, it’s one of the BEST investments you can make for your English. If you’ve never used podcasts to improve your English, or you don’t know what a podcast is, then you’re missing out! Read this article first. Podcasts are completely FREE and are booming (exploding) in popularity. And other than being an amazing source of fascinating, cutting edge (very new) information, they are also one of the absolute best ways to learn a language or to improve your current skills. Podcasts are also one of the most convenient ways to practice and improve your English, but you can learn more about that here. In this article, I want to focus on finding the best podcasts for your personal learning experience. There are SO many ESL and English podcasts out there. How do I possibly choose one? I am new to using podcasts myself, and I recently started learning French largely by podcast. I have found them to be invaluable because of the convenience and the opportunity to hear native French speakers–even as I’m walking down the street in Brazil. But I went through a process finding which podcasts I wanted to listen to in French because there are tons of choices. There are two simple strategies you can use to find the best podcasts for you. The RealLife English Podcast is a brilliant place to start, as there are new episodes every week that teach you valuable English expressions and give you other tips for learning, while you have a fun experience with Trevor and Chad. But I want you to have even more variety. You can either search in your own language, if you want a more basic podcast that teaches you in your mother tongue. 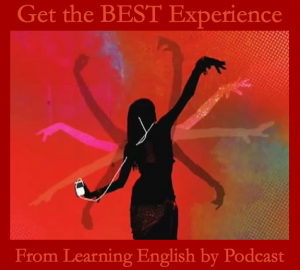 Or you can search in English (“best ESL podcasts,” “best podcasts for learning English,” or “top ten ESL podcasts”). Get creative! I found a few good podcasts by doing this, which set me up with a good base in French. I quickly consumed all the episodes I could while on the bus, walking in between classes, or cooking. So I needed more! 2. I searched on iTunes. In the store, I just searched “French” and scrolled down to the podcast section. There I found more than I could possibly choose from. The titles can tell you a lot about the podcast. Is it just basic language skills? Is it conversational practice? Is it on music? Or news? You can choose some that sound interesting and then click on “Ratings and Reviews” to see how popular and successful it is. If it has a large amount of positive reviews, then it’s a great option to start with. I downloaded the first couple episodes of several different podcasts. This is crucial. Don’t just choose one or two. Choose a bunch, at least five or six. Find a podcast whose hosts you relate to and that you find entertaining. The more fun you have learning, the faster you’ll progress! I found podcasts in French that had good content, but I just didn’t like the host’s personality. And also some that had a host I related to, but the material was boring. I ended up choosing one that teaches situational French (at the market, at the hotel, etc. ), which is practical for traveling. And another podcast that talks about French music, which gives me a cultural introspective. 3. Don’t be afraid of podcasts that are completely in English (or in any other language you’re learning). Just because you don’t understand everything, that doesn’t mean that you’re not learning. In fact, it’s the opposite. The more you get used to being immersed in the language, the better you’ll become. 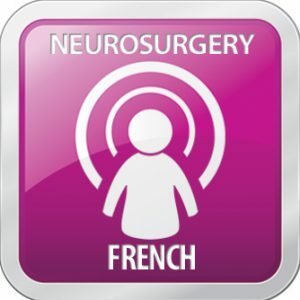 I’m still searching for other great podcasts in French that will keep learning innovative. Why not one on business? Or one on French history? The main aim of the podcast doesn’t have to be for learning the language. You can get podcasts in English that cover virtually ANY topic. The possibilities are endless. And as your skills progress, you can learn more and more. If you can’t travel, well you’ll just have to immerse yourself at home. Play with the language, and have fun! Podcasts are an amazing resource for learning. You can learn English anywhere without spending any extra time doing it. You don’t need to pay for classes (even though a private teacher can be great) and you don’t need to go to a school. You never need to get frustrated waiting in line or angry at traffic again. Fill these convenient moments with learning. Take your English classroom with you. So, if you’re not already using podcasts to improve your English, then get an MP3 Player, download iTunes, and experiment with different podcasts. You can take your English to the next level. If you enjoyed this article, remember to sign up for our mailing list and receive a special PRESENT just for our podcast listeners. By the way, for those who're keen into movies, make sure to check out screenrant.com/podcasts. It's a rather long one (~2h20), pretty informal though, with a bunch of guys and guests reviewing blockbusters movies/series every other week. Thanks for the tip Pedro! Great article, Ethan. This is definitely useful for my students. Keep up the good work. I´ll start this method, because I believe it´s other way to increase fluency. Thanks!